Everyone knows the present state of ACC Football begins and end with the Clemson Tigers. No one else is even close to the team who’s played in the last four college football playoffs, appeared in three national title games in those four years, won two national titles, and won the last four ACC championships. But is Clemson the future of the league as well as its present? 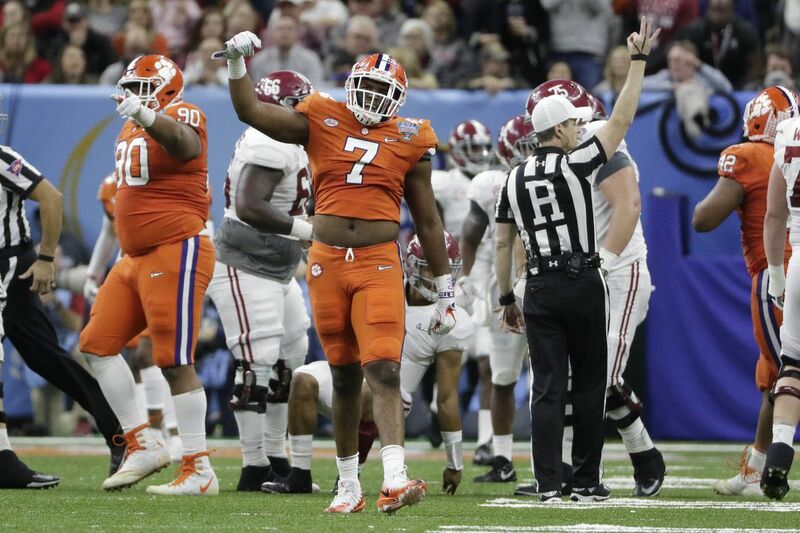 Let’s break down the key factors that will determine if Clemson stays on top, what teams can challenge the Tigers, and factors that could influence other elements of the conference. 1. Will Clemson Stay on Top? Here’s another really simple answer: Yes. Who else in the conference has built up their talent base, invested in their facilities, and committed to winning long term like Clemson has? No one is even close. According to Live 5 News, Clemson has a top 10 recruiting class each of the last five years. Florida St. is the only team in the conference that can come close to that, boasting three top 17 classes. The school completed a $55 million football only facility in 2017 as a tool to keep bringing in top talent. The University spent top dollar to ensure head coach Dabo Swinney sticks around. He makes $6.2 million a season along with $2 to $3 million dollars in incentives. And the school invests in Dabo’s assistants, with defensive coordinator Brent Venables earning over $2 million and coaching under the largest contract for an assistant in College Football. So while other teams in the league may rise, it is a near certainty Clemson will be the one they are all trying to knock off the perch. 2. What Teams Will Challenge? The two obvious choices for ACC contenders here would be Florida State and Miami. But the two storied programs from the Sunshine State are enduring a present plagued with problems. Florida State missed a bowl game for the first time since 1982 this past season with a 5-7 record (the program’s first losing season since 1976). The recruiting ranking of 17th in 2019 by 247sports was the Noles worst since 2007. And general excitement around the program might be at an all-time low. And though Florida State is building a football only facility, will current head coach Willie Taggert even be around by the time it’s finished? As for Miami, the Canes experienced a brief resurgence powered by the turnover chain in 2017. That team played for the ACC title and contended for the National Title most of the season before crashing hard, losing their final three games. But Mark Richt, the man at the helm for the 2017 resurgence, retired after a mediocre 2018. Now Manny Diaz and his recruiting connections in South Florida will try and build back the U’s mystique. At the time of this writing, Diaz was working well on the recruiting trail sitting with the number 4 class for 2020. But will Diaz be given the time (or will he stick around long enough) to put together the multiple classes it takes for Miami to compete with the best in college football again? As for schools who don’t boast the resources the three previously mentioned programs, the ACC Network could be of great benefit. The network launches in August of this year, and projections for how successful it will be are all over the map. Some project a successful launch in line with the SEC and Big Ten Networks, while others forecast a more dire projection in line with the struggling Pac 12 Network. The key here is the providers. DIRECTV is on board with giving the ACC Network a national platform. So have digital carriers Hulu, PlayStation Vue, and Altice. But several big name carriers, including Comcast, Charter, and Dish Network, have yet to sign on. The league and ESPN are using the defending national champs (Clemson vs Georgia Tech is the first game on the network) as leverage to get everybody on board so the ACC Network can launch nationally. To give some idea of the financial impact of the network, SEC schools received $43 million each for 2018, while Big Ten schools received $50 million each from their respective networks. Schools in the PAC 12, however, received less than $3 million each from their fledging network in 2018. And schools have received less than $10 million combined over the last five years. So we’ll see if the ACC Network falls on the high end, low end, or somewhere in the middle of this payout spectrum. Is there anything that could change about the future of the ACC with the Supreme Court now giving permission to states to legalize sports betting? In the near term, not likely. No states with ACC schools in them currently have legislation legalizing sports wagers. But eight of the ten states (with Pennsylvania and Florida the only holdouts) are considering legislation to make sports gambling legal. The US has resisted the temptation until now, unlike other countries such as the UK and Australia. This legalization would see a rise in betting companies such as Bet365. Big betting firms such as Bet365 have already made plans to expand into the US if betting is legalized and if so, the bookmaker would likely offer bonus codes to new customers similar to that of other countries. Bestbetsfree.com is a useful website that has an updated list of these offers. Gambling could mean renewed interest in the product for member schools with the potential to increase television revenue as eyeballs turn on games they have a financial interest in. But would it really impact the game on the field? Could injury reports be in the future? One way that it could was brought up by SEC Commissioner Greg Sankey at the league’s media days last July. Unlike professional sports, college sports require no information on injuries from their coaches. And coaches use this to their advantage, often mentioning nothing about a player’s injury until the players status revealed because he’s not on the field. This frustrates fans who expect to see and networks who market games on star players only to find one star player can’t go. Add in the lack of access media members have to practice and a new treasure trove of insider information now exists for a select few to take advantage of. While most are banned from attending practice, a select few (University official, major donors, recruits and their families, student managers, etc.) are allowed in. They can see with their eyes which players are not practicing or hurting while they practice. And that information could be invaluable to someone who wants to place a bet. So Sankey mentioned the need for injury reports to eliminate this cache of insider info. We’ll see if the ACC considers the same steps should Sankey follow through on this bit of speculation. But I for one would applaud this much welcomed piece of transparency from the closed off world created by the current crop of college coaches.